It seems as if spring has come much sooner than usual this year. Trees are blooming and yellow daffodils dot the lawns, all reminding us that we are entering an energizing season of growth and renewal. We are pleased to say that the same season of growth, is happening here at GCADV! 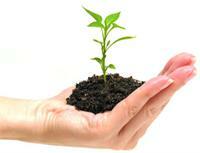 One area of new growth revolves around increasing member program benefits. GCADV recognizes the extreme difficulty domestic violence programs face in trying to provide services to an ever increasing number of victims with an ever increasing number of needs while juggling an ever decreasing number of financial resources. We want to ease their burden in any way that will be helpful. To do so, we have increased our presence at the Capitol, reached out to corporations on behalf of programs to create statewide volunteer and in-kind giving initiatives, and created new brochures and posters for programs to distribute to their communities so individuals can learn how they can be a part of creating change. We are also increasing program exposure through our website and social media efforts, and this spring we will increase that exposure when we launch our new Facebook page! GCADV continues to grow in the ways that we serve survivors through systems change. That means by working with state funders and programs, GCADV staff is informing a state plan for ending domestic violence, a new process for distributing state funds, the creation of new programmatic standards and a system for monitoring program delivery. We hope that through these efforts, as well as new methods for state-wide data collection, services will grow and improve and that we will create systems of feedback that will inform future programs and policies. Additional collaborations with social service agencies and government partners have brought new efforts to specifically help all victims, especially those who experience increased barriers to services and safety such as teens, people with disabilities, people of color, immigrants and refugees, LGBTQQI communities and people who are homeless. Finally, GCADV is expanding our board recruitment and development efforts so that we can increase our capacity to meet the growing requests for services from member programs, community agencies and survivors themselves. For 30 years, the GCADV board was made up of member program directors who needed to fundraise for their own programs and thus GCADV never initiated any comprehensive development efforts until now. With our new community board members working alongside of the member program directors and new volunteers on our Development and Communications Task Forces, we are looking forward to many of exciting opportunities and events. These efforts will enable us to continue our very successful public health and prevention work, conduct research and address the root causes of identified homicide disparities, provide member programs with travel reimbursements so that they can afford to attend our meetings, initiate statewide awareness campaigns, meet training requests and ensure the financial security of our agency through a diversified funding base. We thank you and look forward to your future support in all of these growth efforts. VAWA is the landmark piece of legislation passed in 1994 which for the first time codified the commitment of our federal government to addressing the public health and public safety issue of domestic and sexual violence. This legislation authorizes federal funding for programs that help ensure a coordinated community response to these crimes and give law enforcement, prosecutors, and judges the tools they need to hold batterers accountable and keep victims safe while supporting victims through effective services and safety planning. There is no shortage of research pointing to the effectiveness of VAWA. Since its passage, more victims report domestic and sexual violence to the police, and the rate of non-fatal intimate partner violence has decreased by 53 percent. VAWA is also a significant cost-saving measure, responsible for saving $12.6 billion in net averted social costs in just its first six years. Funding authorized by VAWA has been absolutely crucial in improving Georgia’s response to the crimes of domestic and sexual violence. In the year 2010 alone, Georgia law enforcement, prosecutors, courts, and local domestic violence and sexual assault programs received nearly $6 million in VAWA funds, all of which has greatly enhanced our state’s ability to hold batterers accountable and ensure that victims get the services they need. What can you do to assist in the reauthorization of VAWA? The most important action that Georgia advocates and allies can take right now is to contact Georgia’s U.S. Senators – Senator Saxby Chambliss and Senator Johnny Isakson – and urge them to sign on as co-sponsors to S. 1925. Right now, VAWA has 54 sponsors, but it needs at least 60 sponsors in order to fend off a filibuster and secure a floor vote and passage. Our Senators will only sign on if they hear from you and other advocates and allies across the state that addressing domestic and sexual violence is a non-partisan issue and that VAWA must be reauthorized! In 2011, Georgia was found to have the 6th highest homicide rate in the nation for women killed by men. To address this troubling statistic, the Georgia Coalition Against Domestic Violence in collaboration with the Georgia Commission on Family Violence, the Georgia Network to End Sexual Assault, Men Stopping Violence, and Raksha hosted the 13th annual Stop Violence Against Women Day at the Georgia state capitol. Over 300 advocates, Georgia constituents, survivors of domestic and sexual violence, and other allies gathered to address state legislators on the issues facing victims, survivors, and domestic violence professionals. Attendees urged their state legislators to continue supporting efforts to end violence against women and children in Georgia. Director of Public Policy, Allison Smith, noted that this increase in attendance, as well as the increased number of representatives from other systems – law enforcement, prosecutors, public health, higher education, community civic organizations, etc. – is a testament to the work that GCADV is doing to reach out and work collaboratively across disciplines to engage all players in the struggle to end violence against women. From faith communities to local victim service programming, this year’s event speakers echoed the important message that everyone plays a role in ending violence against women. Ultimately, the annual event was a phenomenal success as it attracted more supporters than ever before and received positive feedback from all participants. “Without question, this year’s event was the most highly attended since the event was first held in 1999,” said Smith. A very special thank you goes out to the Mary Kay Foundation for their presence at the event and monetary support of the events morning session, Verizon for providing staff to connect attendees with their specific legislator, and Canterbury Press for all printing of event materials. GCADV’s membership continues to grow! We currently have 49 member programs from around the state, comprised by 30 state certified domestic violence shelters and 19 community/criminal justice-based programs. In January, we welcomed a new community-based member program, the Beverly Cunningham Outreach Program (BCOP). This Decatur organization was founded in memory of Beverly Cunningham and currently focuses on outreach with at risk youth and community awareness/education programs about domestic violence. You can find out more about their work at http://bcop.org. GCADV provides its members specialized training, technical assistance, and access to vital information and resources, as well as the power of working together with other organizations across the state to end domestic violence. Membership is open to domestic violence victim service agencies or programs whose primary purpose is to work on behalf of domestic violence victims through direct services, advocacy, or social change efforts. For more information visit our website’s Membership page or contact our Director of Membership, Christy Cardina at ccardina@gcadv.org. February was Teen Dating Violence Awareness month. From coast to coast, teens and organizations raised awareness around dating abuse and healthy relationships. The story was the same here in Georgia as the subject of teen dating violence was been a trending topic on social media outlets, for GCADV and many member and partner organizations. PADV, Start Strong and Circle of Hope, to name a few, held awareness events, trainings, and workshops for teens, parents, and other important stakeholders during the month of February to generate awareness and conversation about abuse. Discussions ranged from “How can parents talk to their teens?” to “How teens can talk to each other.” GCADV’s Community Resource Coordinator, Shenna Johnson, has been actively involved in state and local teen dating violence efforts during this month. In March, GCADV will present at the Georgia Department of Education’s 7th Annual Summit on Substance Abuse, Mental Health and School Safety Discipline. This relationship will allow GCADV to address a wide audience of counselors, teachers, substance abuse counselors, school resource officers etc. This collaboration with the Department of Education is vital in equipping educators with tools to prevent, intervene, and respond to teen dating violence. We will also be providing webinar training to health educators in March, in collaboration with Start Strong’s advocates. Shenna is very excited that GCADV has been critical to the momentum surrounding some of the efforts to address teen dating violence. “I look forward to the outcomes which will result from the relationships being established and the foundational work occurring,” said Johnson. For more information on teen dating violence efforts occurring ongoing throughout the state, please contact Shenna at sjohnson@gcadv.org. Visit http://www.teendvmonth.org/ to joing the movement nationwide. GCADV is pleased to announce the addition of two new resources to our library. These materials are specifically designed to encourage the action of families, friends, co-workers and other potential allies in supporting a loved one who is experiencing abuse. “I broke my silence, I made a call, I saved a friend’s life,” is the tagline for our new By-Stander poster. The message of this poster is clear; we all have a role to play in ending domestic violence and the first critical step is not to remain silent. It is our collective responsibility as concerned members of our community to intervene safely to prevent domestic or sexual violence from occurring. The By-Stander poster gives Georgia’s 24-hour statewide hotline as a resource for survivors and their supporters. The size and shape of this poster make it portable and easy to display on a community bulletin board or a bathroom stall. We encourage you to be creative and think broadly about where to distribute these posters in your community. Our second addition to the library is a brochure titled “What to Do if Friends and Family Members are being Abused.” This brochure is designed to help potential allies have a sometimes difficult conversation with their loved one. Connections to family, friends, co-workers, fellow faith community members and other social relationships are some of the most valuable lifelines that survivors have. When interviewing family and friends who have lost a loved one to domestic violence-related homicide, the Georgia Domestic Violence Fatality Review Project has consistently found that family and friends have the most knowledge about the abuse but are often not equipped to understand when the danger is escalating and provide support in a way that best promotes safety. This brochure offers tips for recognizing domestic violence, signs that may signal increased danger, and some “what to say and what not to say” talking points. Again, this brochure lists the 24-hour statewide hotline as a resource for family and friends of survivors. Both of these exciting new materials are available upon request by contacting our Communications Coordinator, Heather Balom at hbalom@gcadv.org. Often there is confusion about whether or not substance use or abuse can lead to or cause domestic violence – this training sought to bring clarity to the discussion of the intersections between the two issues, emphasizing that substance abuse or use by the victim or the abusive partner is not a direct cause of violence. Women who have been abused are fifteen times more likely to abuse alcohol and nine times more likely to abuse drugs than women who have not been abused. A study conducted by the Department of Justice suggested that alcohol and drugs may be used by victims of abuse, to cope with the physical, emotional and/or psychological pain of family violence. In response to this known fact, it is essential for advocates to be knowledgeable of the increased risk to victims when substance abuse is involved, as it can increase barriers to their safety or make it harder for them to get help. You are receiving this newsletter because you signed up from our web site, signed up via a paper form, volunteered with GCADV or, partnered with our organization. Click here to unsubscribe.